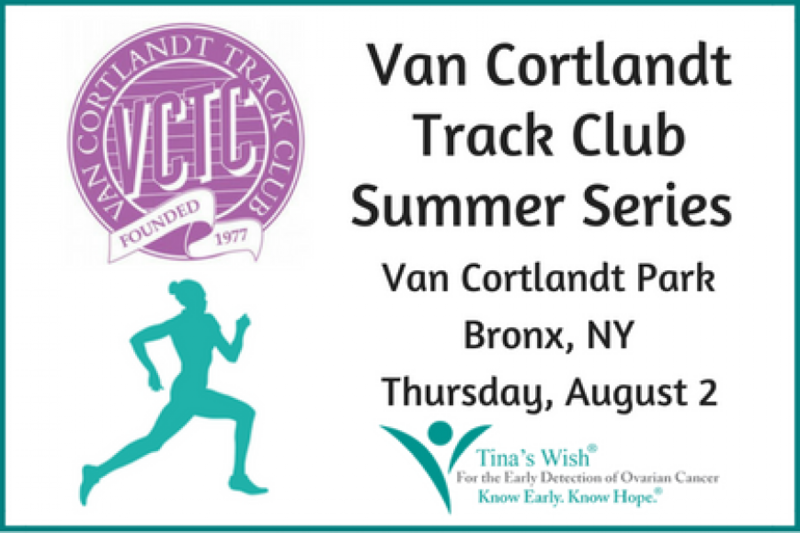 On Thursday, August 2, Tina’s Wish joined the Van Cortlandt Track Club for their Summer Series Race. 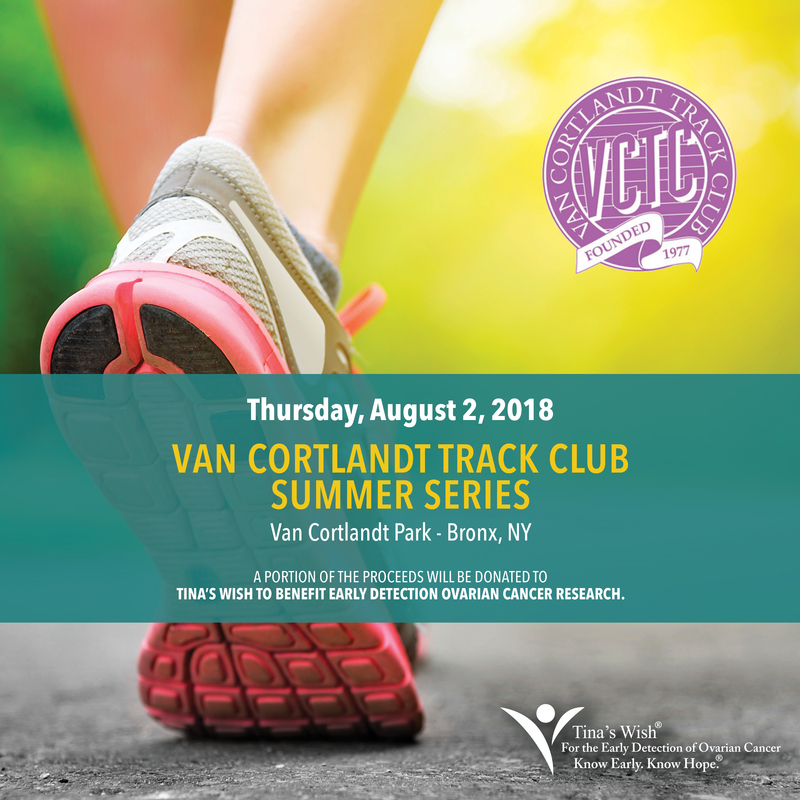 The Van Cortlandt Track Club is a Bronx-based running club promoting and fostering a welcoming and supportive community for runners of all levels of ability, experience, and goals, in the Bronx and beyond. 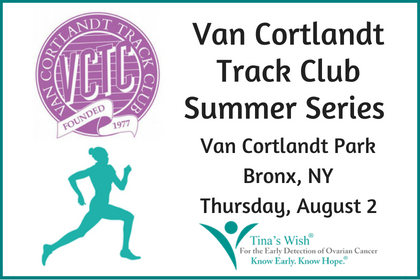 A portion of the proceeds were donated to Tina’s Wish to benefit early detection ovarian cancer research.